Even Ron Howard has big whoopsies! 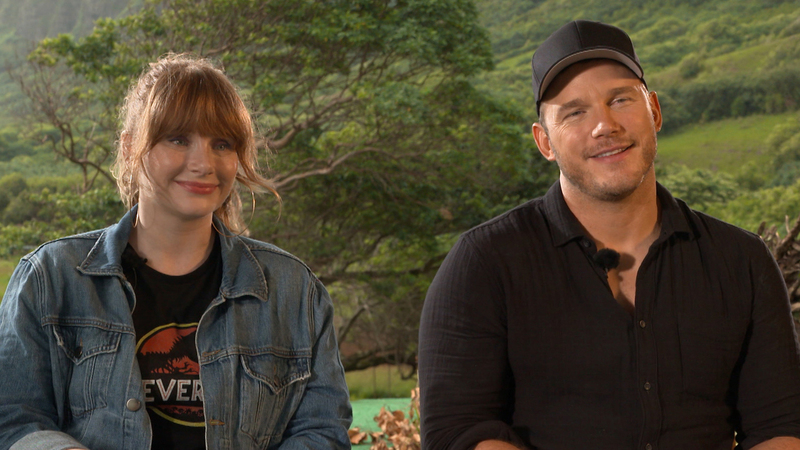 Bryce Dallas Howard’s famous director dad totally spoiled the fact that Chris Pratt was going to star in the “Jurassic” franchise films! Bryce revealed in an interview with Access on Thursday that her dad had to apologize to Universal executives after he tweeted a photo of Bryce and Chris at an after-party together and announced they were going to be co-stars. “So we were hoping it was going to be Chris. I’d been cast for a while and they were trying to work out the schedule with the press for ‘Guardians of the Galaxy,’ the first ‘Guardians,'” and it was looking like it may not work out for him to be able for him to shoot the movie. I didn’t know this, my dad didn’t know this,” Bryce explained to Access. Bryce and Chris then ended up meeting up at a Golden Globes bash. “Chris and I met for the first time at an after party for the Golden Globes with my dad. And my dad was like, ‘Oh I want to commemorate the moment and take a photograph.’ And then he ended up tweeting, ‘Here are the co-stars of the new Jurassic World meeting for the first time.’ He called me and he was like, ‘Wow, I’m getting a lot of traction on this tweet, Bryce.’ And then a few hours later he called me and he’s like, ‘I’m getting some calls from the news outlets,” Bryce laughed. She said her dad then asked whether it had ever been announced that Chris was in the movie. “Jurassic World: Fallen Kingdom” hits theaters on June 22!